Wedding celebrations have got to be my favourite, they even top most festivals for me! We're rejoicing two people on the biggest day of their lives, we're meeting to marking a momentous day of love and adoration and happiness, utmost happiness. 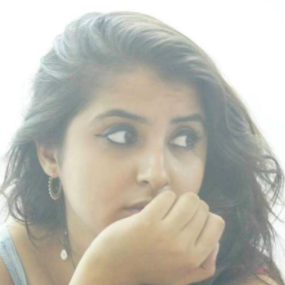 While all shaadis are just as gorgeous and all brides are as beautiful, I hold a special place in my heart for those who step out of their comfort zone and dare to try something different. 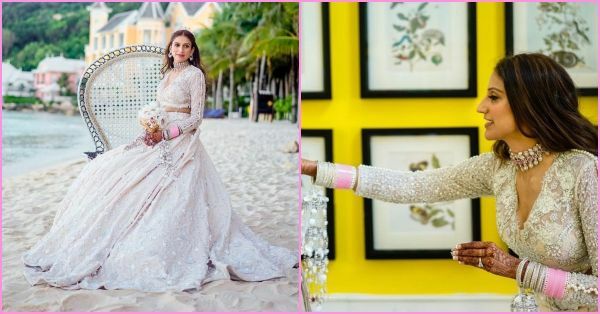 Walking down the aisle on a motorbike, doing a dance video on a pop-song or wearing funky sneakers under the shaadi ka joda, brides have definitely taken it up a notch. 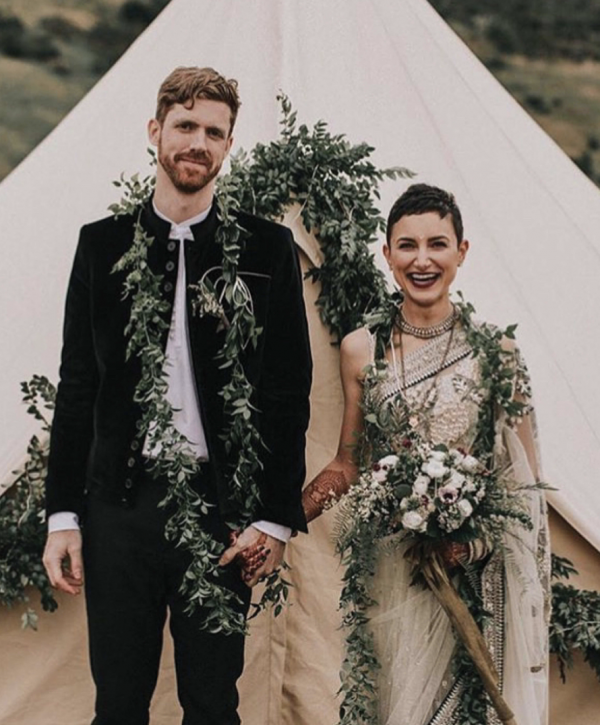 So to keep you updated with the latest wedding trends, we've got a list of all the brides who were trending for their oh-so-stunning style! If you've been keeping up with trends in the shaadi space, you've probably seen how massive floral kaleeras became. The traditional ones were kept aside while so many brides were wearing flowers in their hands. 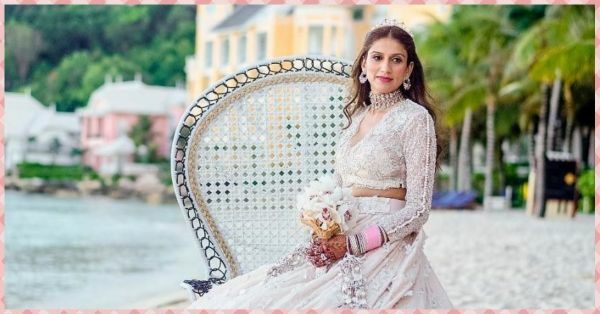 And just when we were starting to have enough of it, the co-founder of Outhouse Jewellery and a new bride, Kaabia Grewal gave us a refreshing new kaleera style. For her bohemian themed wedding in Vietnam, Kaabia designed sea-shells kaleeras for herself. Yup, gorgeous and intricate, they matched the ivory bridal outfit and the beachside setup just perfectly. Mehendi hai rachne wali but with a twist. Even the Lady of Winterfell approves of this look. There are fans and then there are die-hard fans, this bride is definitely the latter. 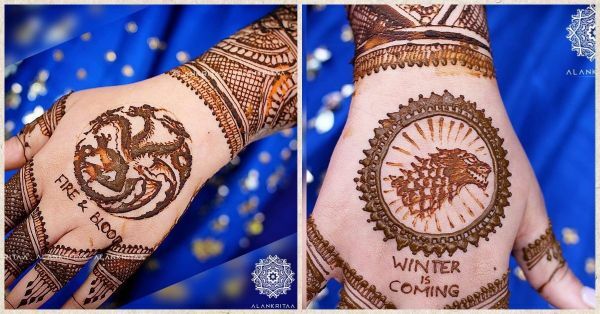 Winter is coming with the final season of Game Of Thrones premiering next month and this bride dedicated her bridal mehendi to it. We love us a quirky and fun design. 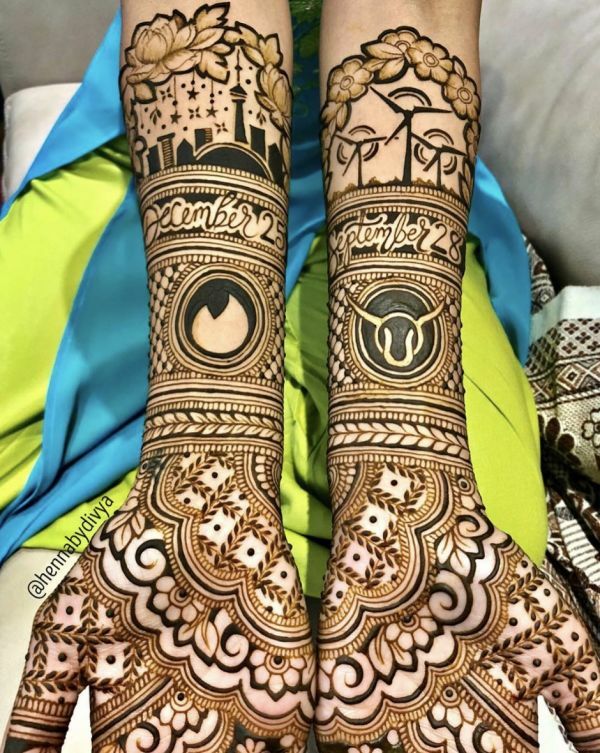 From depicting the love story to wedding hashtags, traditional henna art has really come a long way. Yes, the couple met on Tinder and the dating app kickstarted their love story and now here we are. Of course, then the logo has to be in there somewhere. What an amazing little detail, we are totes swiping right on this. An ode to the wilderness, this couple's jaimalas were made of leaves and foliage. A Sabyasachi bride from California, Zai and Phil's nature-themed wedding had all the details and elements perfectly in-line with the theme. Time to ditch the flowers for something more rustic, maybe? Dreams do come true and you do find your prince charming. 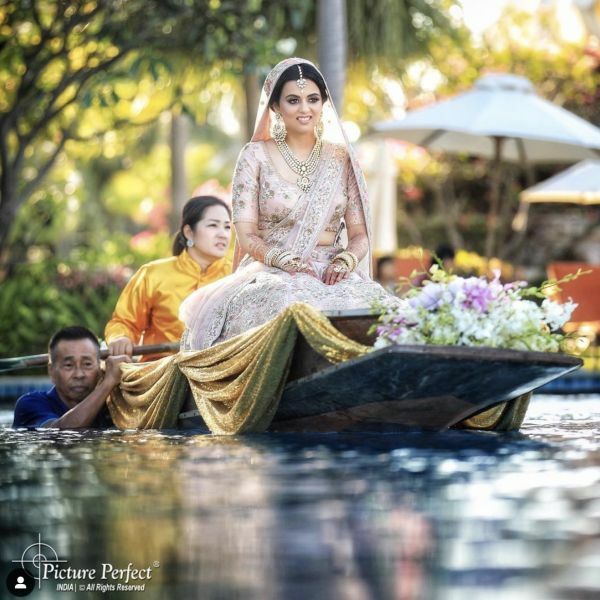 This bride, Simran Khatwani entered on a boat at her destination wedding and we can't deny that it's one of the most impressive entries we've seen in a while. Princess vibes, yessss! The bride and groom require a good ol' Bollywood style welcome and who better to do it than the saalis (aadhi ghar-walis)! This one completely blew our mind with the coordination, the steps, and all the fun. So if you want to try out something fun and funky on your D-day, go for it! It's your special moment and everyone else is at your service to make it happen.